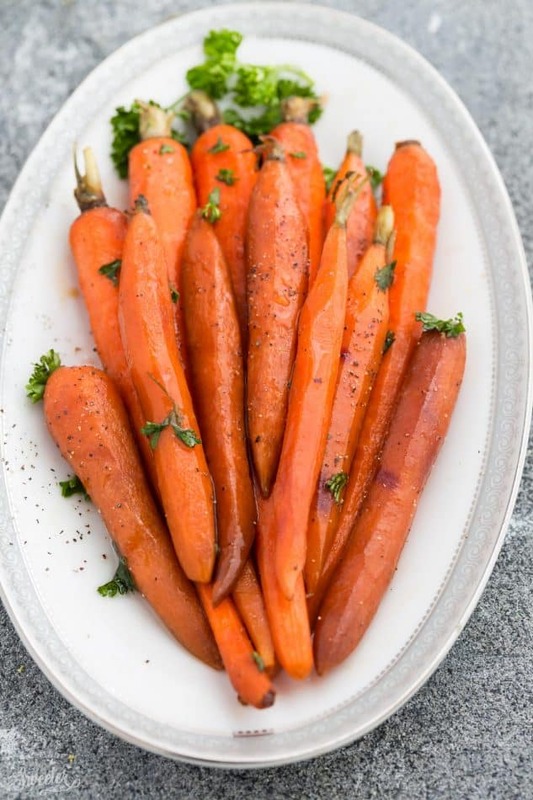 Honey Roasted Carrots with Herbs is an easy side dish recipe that’s perfect for potlucks, holidays and any busy weeknight. Best of all, you can easily customize it with your favorite seasonings. 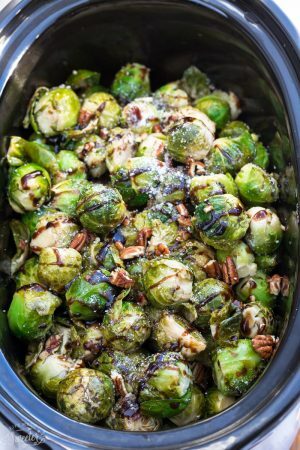 Easy side dishes are one of my favorite things to make when we’re having a big gathering. They’re super simple and I love making a bunch since they take no time at all to make! They get tender and caramelized with the most incredible flavor in them. 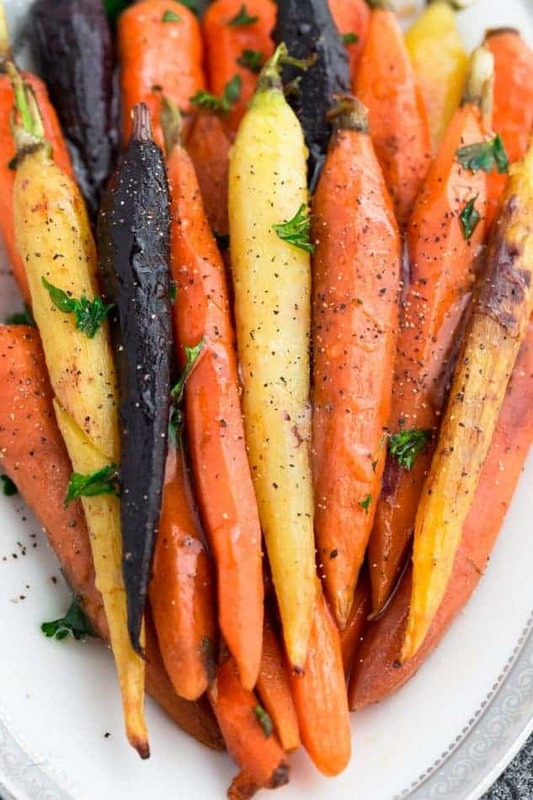 These Honey Herb Roasted Carrots are not only simple to make but they are also so pretty to look at. I always try to pick up rainbow carrots whenever I see them but any carrots will work. 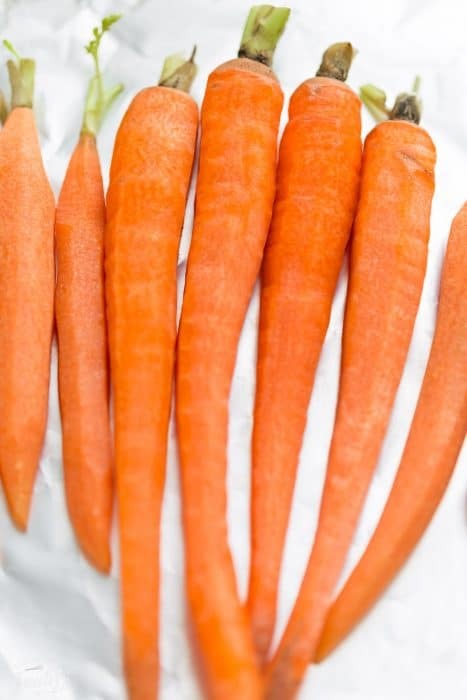 Just keep in mind that thinner carrots will cook faster than the thicker ones so if you got a bag of the long thin carrots cut back the time as needed. Super easy and the best part? 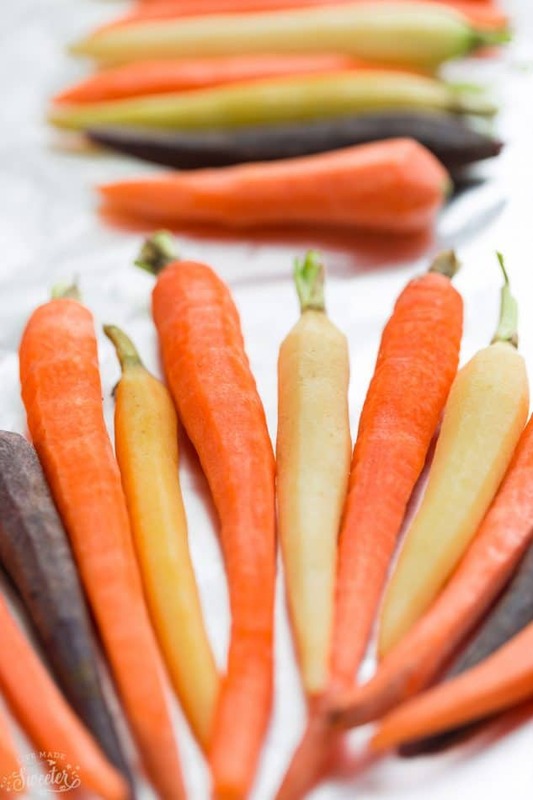 You can totally prep the carrots ahead of time and customize the herbs to what you like. Sometimes, I like to add in some cumin or cayenne pepper to bump up the flavor! Be sure not to forget to leave out the fresh herbs! 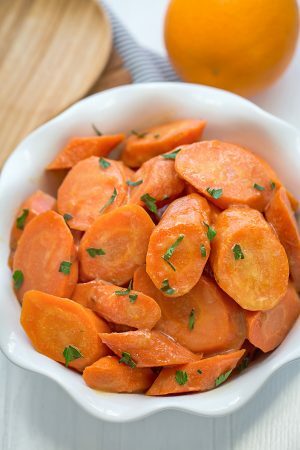 They add the perfect amount of flavor while adding just the right amount of savory contrast to the sweetness of the carrots. Preheat oven to 400 degrees. 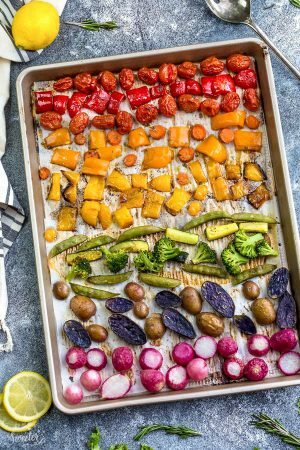 Line a large rimmed baking sheet with parchment paper or foil for easier clean up. 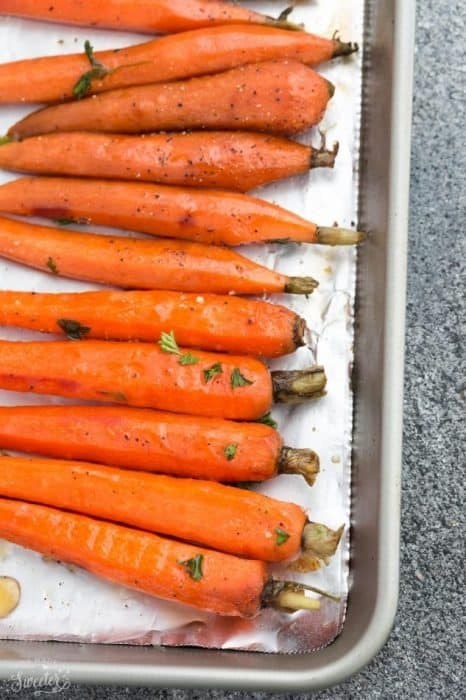 Place carrots in a single layer and drizzle with olive oil. Season with salt and pepper and add oregano and thyme. Pour honey evenly over carrots and toss to coat. 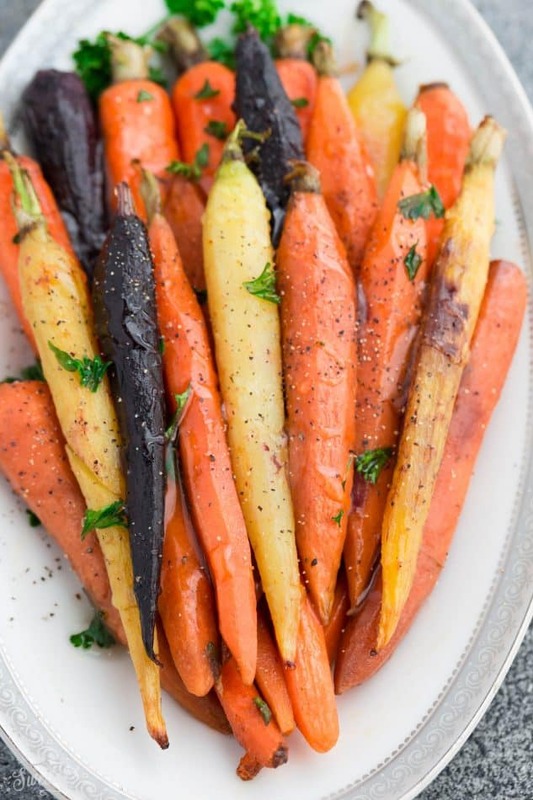 Roast in preheated oven for 25-35 minutes or until carrots are tender and browned, tossing once in between. Cooking time varies depending on size of carrots. Remove from oven and sprinkle with fresh parsley and thyme. Serve warm.